Apple is reportedly planning to debut a low-cost MacBook to expand the market for the company’s longest-running line of devices. Also, the company is expected to give a professional-focused upgrade to the Mac mini desktop. Apple is expected to debut the low-cost MacBook alongside the new iPhones next month. The low-cost MacBook would run on comparatively less powerful 14 nm Kaby Lake processors from Intel, thus, helping Apple to lower the cost, according to Bloomberg. Further, the report claims that this budget device could be launched as the next-gen MacBook Air. According to DigiTimes, the iPhone maker had plans to launch the new MacBook Air earlier, but the production setback in Intel’s 10nm chipsets lead to the delay. Now, the iPhone maker has reportedly changed plans to power the device with 14nm Kaby lake processors. Trusted Apple analyst, Ming-Chi Kuo, also claimed earlier this year that Apple would come up with a low-cost MacBook Air later this year. Kuo made similar claims in June and July as well. Apple’s MacBook Air line-up is also long overdue for an update as the company has been more focused on the iPhone and service business. The current devices have huge bezels along with a low 900p-resolution display. Apple’s current MacBook Air costing $1000 is its only laptop without a high-resolution screen. It was last updated in 2017 with a faster processor, but beyond that, it hasn’t seen any major overhaul in years. Though the 12-inch MacBook, which launched in 2015, was seen as its successor, its $1,300 price tag deterred the buyers. So, the new low-cost MacBook Air would target not only the buyers looking for a cheaper Apple device, but also schools. Apple lags in the education market. Google’s cheaper laptops – Chromebooks – commanded 60% market share in the fourth quarter of last year, according to Futuresource Consulting Ltd. It is expected that the next-gen device will come with thinner bezels around the screen. Though the new MacBook Air would retain the same 13-inch screen, it would be integrated with a higher-resolution “Retina” version, which is currently used in other Apple products. Also, it will be interesting to see how Apple differentiates between the new MacBook Air and the MacBook. Presently, the MacBook’s higher price, slimmer body, and Retina display makes it different from the MacBook Air. But, with the same features expected to land in the next-gen MacBook Air, Apple would have to work out a differentiating factor. In Apple’s last fiscal year, the Mac represented 11% of the total sales, ahead of the iPad. Despite a significant contribution, the Mac fans have long been complaining that Apple is doing little to address their professional needs. The iPhone maker, however, tried to fix this by launching a high-end iMac Pro and a new MacBook Pro with a faster processor and updated keyboard, but the sales haven’t been up to the expectations. Despite the new launches, Apple sold just 3.7 million Macs in its fiscal third quarter this year, the lowest since 2010. Experts believe that a form change with the next-gen MacBook would help Apple to boost the Mac sales. Apple is also reportedly working on a new version of the operating system for the Mac. 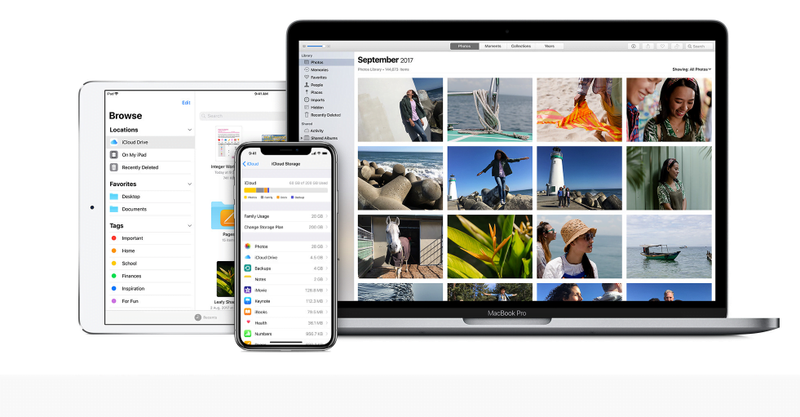 The new macOS Mojave would come with new features for sorting files along with the ability to run the iPad apps. Apple may also upgrade its most high-end Mac – the Mac Pro. Apart from the lost-cost MacBook Air and a new OS, Apple is also reportedly upgrading its Mac mini, which hasn’t been updated since October 2014. This Mac desktop costs $500 as it doesn’t include a screen, keyboard or mouse in the box. Its lower prices have made it popular among the app developers. For now, not many details are available on the next-gen Mac mini, but it would focus more on the pro users with a faster processor and new storage options. The updates will likely make the next-gen Mac mini more expensive than the earlier ones. Last year, there were rumors that Apple would make the mini more powerful with less compact components. Since then, nothing has been heard about the mini. Apple would also debut the AirPower mat, which may cost about $150. The charging mat would be able to charge the Apple Watch, iPhone, and AirPods simultaneously.